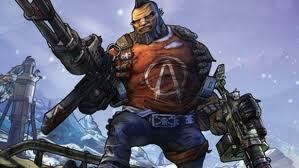 I stumbled across a great video today that compared the best Borderlands 2 Sniper Rifles to one another. It showed them against the firing dummy, as well as in live action -- which was particularly nice, since the best weapon against the enemies at the firing range may not be the best in live combat. Some of these used burst fire, some of them were elemental (i.e. fire, explosive, corrosive, electrocutive). Kudos to him for this great video. By the way, he makes use of Zer0 / Zero the Assassin's skill tree for sniping, badass points, and does testing WITH and WITHOUT The Bee shield. This is WITH the patch that nerfs The Bee too. Sloth was pretty much his favorite it seemed, though he warns that it isn't meant for faster enemies and that a fire sloth against a fire resistant enemy does not necessary hold up well. Did you know that you can use Zero the Assassin to solo Terramorphous the Invincible while using ONLY melee? It isn't easy -- and you'll likely need to practice before giving it a shot, but it can be done. Check out this awesome video below of someone soloing against this boss with the Zer0 the Assassin character class. You can use the video as a guide for tips on killing / beating the boss quickly. It does show how you can kill Terramorphous easily after all using his sword. So get ready to destroy him all alone! As of right now, there are currently 5 Borderlands character classes counting Gaige the Mechromancer, which is obtainable via DLC. Each class is strong and unique. Each also has a special class build. Check out our guides below for info! Best Axton Build - The strongest commando solo build. Best Gaige Build - This Anarchy skill tree build is possibly one of the highest DPS builds in the game for Mechromancer. Best Maya Build - Maya the Siren is the best support class. This is the best elemental build for the best damage class. It is a good Phaselock build. She's the best duo / co-op class. Best Salvador Build - The Gunzerker is the best tank class with high damage. Two guns at once allows you a lot of powerful combinations. Great with shotgun. Best Zer0 Build - The Assassin is fantastic with melee and long distance. Each of these builds is very strong for all classes. You will kill enemies AND bosses very fast, especially in co-op with someone using another well built character. You should also destroy your friends during PVP easily. 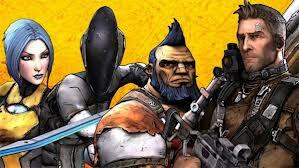 Good luck with Borderlands 2! Game of the year! Sirens are all about Phaselock. They utilize it constantly, as it is their action skill, and it's really useful at crowd control. At higher levels, it even damages enemies. 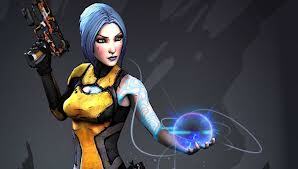 The best Borderlands 2 support class is Siren. They can heal AND revive! With nice class mods, they can do even more -- such as hp / health regeneration and quicker action skill cooldowns. Sirens can also have nice elemental builds with a high rate of damage per second (DPS). They're one of the favored classes in this game, though every single class rocks. You can make hybrid builds with the Siren pretty easily too. Our build focuses on being as strong as possible in combat. 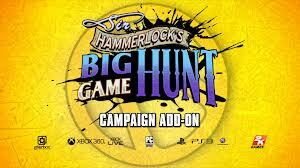 A new patch for Borderlands 2 is now out! It fixes some bugs and adds some new features. Checkout the changelog for all the details. 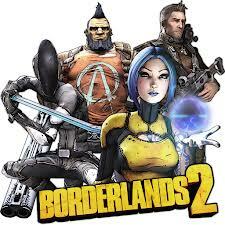 Download the Borderlands 2 v1.1.3 patch now! This includes Steam users. - Added a toggle for whether textures should fade or pop in when a higher-resolution version loads. High-end computers can disable this to avoid seeing lower-resolution textures streaming in. - Added the ability to reset all challenge progress for a character once they've completed 85% of all non-DLC, non-area-specific challenge levels. This will keep the player's current challenge bonuses and rank, but reset all challenge progress to 0 and allow challenges to be re-completed for additional ranks and bonuses. Resetting is available on the "challenges" screen of the status menu and will display as a tooltip at the bottom of the screen if the player has met the criteria. - Fixed a bug where profile files set to "read only" were not being saved. - Fixed a performance issue in Captain Scarlett and her Pirate's Booty content with PhysX set to Medium or High. Note the challenge progress reset ability in the patch changelog above? Very useful! You can reset badass points every time you reach 85% completed. Cool stuff! This lets you get massive amounts of badass points now! 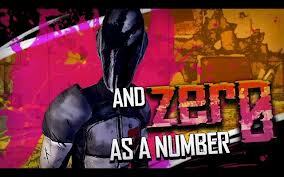 Zer0 the Assassin is a character of mystery in Borderlands 2. His face is not visible, he doesn't really talk, and even has stealth abilities. So is Zero the Assassin a character class that should remain hidden and fight from far away? It certainly can be! You can spec your character so that you're a high rate, damage per second (DPS) sniping build that can destroy enemies by blasting their critical areas fast and efficiently using the Sniping Skill Tree. You can also say "eff that" and take up arms in the Bloodshed Skill Tree for the best Assassin Melee Build -- and when bundled with Cunning Skill Tree abilities, it becomes even stronger. We aren't looking at a melee build though. We're looking at what's possibly the best Assassin solo build, which makes use of Zero's sniper rifle skills for massive damage. It also bundles in some health and shield skills for defensive purposes, making it like an Assassin Tank Build, but in general, they do not actually tank as well as other classes can (go to Salvador the Gunzerker for that). This class build uses the Sniping Skill Tree up to tier 6 and then the Bloodshed Skill Tree up to tier 3. This build does not use the Cunning Skill Tree at all. The Gunzerker class is awesome. There's no question about it. Salvador kills his enemies fast and serves them a nice side of pwn'age while doing so with his dual wielding guns. 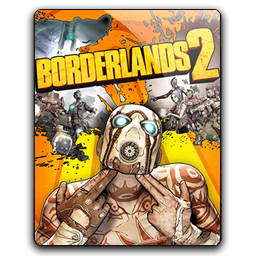 Gunzerker is the best at crowd control, has a very high damage per second (dps), is capable of tanking (with a tank build), and is one of the most fun classes in Borderlands 2. The build I'm posting is an amazing Gunzerker solo build (I think it's the Best Salvador Build). It's pretty much a Rampage Build that's hybrid with a Brawn Build. This does not have any of a Gunlust Build though -- as we don't even touch that tree -- but that doesn't mean you can't shift some skill points around. Keep in mind that with more downloadable content (DLC) being released, even more skill points will be obtainable. And once you gain those extra skill points and / or an increased level cap, then you can expand to other skills in trees. As per usual, if you have any builds you think are better, then please comment below! 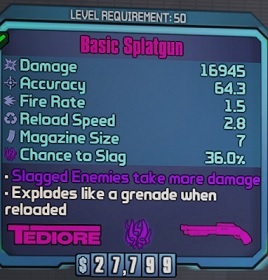 In Borderlands 2, there are rare E-Tech weapons that use alien Eridian technology on the gun barrels to make them shoot special bullets. The E-Tech guns have a special, unique barrel and glow. Their attacks vary too from lasers to plasma / energy balls that are slow. The color type on these for the label rare scale is Magenta. There are special names for E-Tech guns that pertains to the type of gun it is. This is NOT the full name list -- and please note that the names listed here have even more variations than seen (which varies even more depending on how rare the E-Tech gun is).